BRYAN EATON/Staff photo. 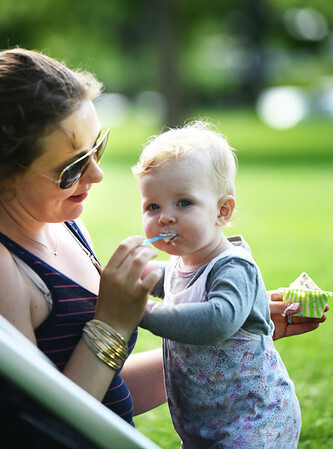 Amanda Roberts gives her daughter, Penelope, some ice cream on Newburyport's Waterfront Park on Monday afternoon once the sky turned blue. The toddler, who turned one on Sunday and like to smile for the camera, and mom were visiting from Georgetown.